May 23, 1929 - January 3, 2019 On January 3, 2019, Vernon Beck, embraced by his loving family, took his well-earned rest. He was 89. On January 3, 2019, Vernon Beck, embraced by his loving family, took his well-earned rest. He was 89. Born in Molalla on May 23, 1929 with an aptitude to fix anything, endless stubbornness, and a penchant for speed, this plucky redhead was primed to leave his mark. In 1950, Vern married Alvera Purcell, and shortly thereafter, he joined the Army and served as a mechanic in Germany during the Korean War until 1952. In 1976 they returned to Molalla, where they cared for Vern's parents and built their legacy. Married for 67 years, they parted on a kiss in 2017. As a long-haul truck driver, Vern crossed every state in the Union collecting over 1.5 million safe miles gleaning stories that stoked curiosity, imagination, and amazement. He was a committed family man who worked hard all is life: in his shop, on the tractor, cutting wood. He had a vice-like grip and boundless stamina, was diligent and thoughtful - one of a dying breed. 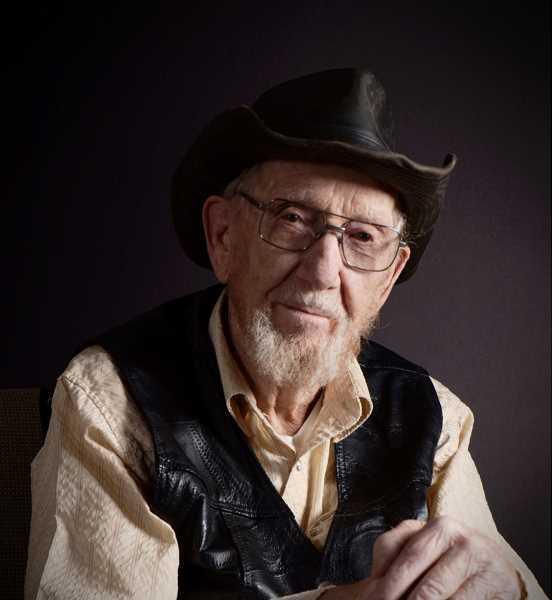 Vern was a man who loved hard, lived long, and left a legacy. He is survived by his children, Douglas Beck and Rhonda Benthin, 4 grandchildren, and 6 great grandchildren. A military service will be held at Willamette National Cemetery on Friday, February 22, 2019 at 10:30 am along with a celebration of life service at Molalla Christian Church on Saturday the 23rd at 11:00 am. All are welcome to attend.